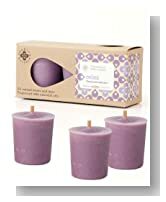 Once you have tried using them you will have no doubts about the aromatherapy benefits to your health and also in using them to refresh your home environment. 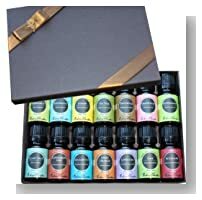 Essential oils have become very popular over the last few years. This is by no means an exhaustive guide. But this will help you to understand the basics so that you can get started on your journey toward natural health and wellness. Once you see how amazing essential oils can be for your household, you’ll want to begin incorporating them into your everyday life. When you hear the term “essential oil” you may wonder what that really means. Many people wonder how essential oils differ from plant extracts. Let’s take a look at what essential oils really are. An essential oil is a natural oil that comes from a plant. The plant is usually pressed in order to extract this oil. Usually the oils are purified through a process of distillation where steam is used to separate the oil from other plant materials. Some are actually cold-pressed and mechanically separated, but this process is more time-consuming and expensive. This is most common for extracting oils such as olive oil or even citrus oils. Once the oil is purified, you have a substance that is highly concentrated with natural plant chemicals. It will have the aroma of the plant from which it came and it can have medicinal properties as well. A plant extract, on the other hand, is usually made from adding a plant to alcohol for a period of time. This extracts some of the plant material as it dissolves in the alcohol. 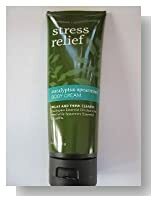 Some examples of this include vanilla and peppermint extracts. Extracts are not the same as essential oil. They may have some of the plant materials, but they’re not highly concentrated or pure. Extracts have uses, but they’re generally for the kitchen not for your health. Essential oils have been used for thousands of years to treat health conditions and improve wellness. Recently they’ve become more popular as many people are interested in natural healing and avoiding chemicals and synthetic drugs. When you purchase essential oils, you notice that they tend to come in very small bottles. In some cases you may only use one drop while there will be times that a few drops are in order. You only need to use essential oils in tiny amounts because of how potent they are. In nature, plants have these oils but in very small amounts. In fact one plant might only have a few drops total. When you buy essential oils you’re buying the oil of many plants in the most concentrated form possible. It’s important to understand that these oils are very powerful. For example, some oils can cause burning or other problems if they’re used directly on your skin. While essential oils can be powerful allies in your efforts toward natural healthcare, they also need to be respected. Make sure that you understand oils well before you use them and that you use each specific oil in the safest way possible. We’ll look at some specific examples later in this guide. But the important thing to take away here is that you should always read the safety information for any oil that you’re using and use it as directed. Now that you know what essential oils are, let’s talk about how they can help you and what makes them so special. There are quite a few properties that make essential oils beneficial for your body, mind, and spirit. When you apply essential oils to your skin, they’re quickly absorbed into your skin and passed into your bloodstream. They can actually diffuse through your entire body very quickly. You may not be aware of this but there is a barrier between your circulatory system and your brain. It’s difficult for many medications to actually work on the brain because of this built-in protection system. But essential oils can pass right through the blood-brain barrier. This means that essential oils can help you in ways that pharmaceuticals can’t. They can help to improve mood and emotions. Plants naturally contain many antioxidants. These are vitamins and other substances that help to fight the oxidation process that causes disease and aging. When you use essential oils you’re applying these antioxidants to your body and improving your overall wellness. Natural healing without harmful side effects. For the most part, essential oils are safe to use and don’t have side effects. It’s possible to have an allergy to any substance and you might also have a problem if you use oils incorrectly. But if you use oils as directed you’ll be able to experience healing without the side effects that are common in modern medicine. They are nontoxic and don’t cause negative effects that toxic substances do. Many essential oils have antimicrobial properties that make them excellent for cleaning. When you add them to items such as vinegar or baking soda you can clean you entire home without using any harmful chemicals. While essential oils may seem to have a little bit of a high price tag, you use such small amounts that you’re really only paying pennies per drop. And by supporting wellness in a natural and safe way, you’ll save on future healthcare costs. There are also countless benefits when you look at what each specific oil or blend of oils can do for you. We’ll cover some of the specifics in this report and as you begin to use oils often you’ll find even more that can help you. There are quite a few different ways you can use essential oils. How you use them depends on what you need at the time. 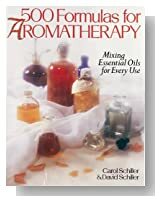 Read on to learn the most common techniques for taking advantage of the power of essential oils. One of the most common ways to use essential oils is with a diffuser. There are different types of diffusers, but they all help to fill the air with the aroma of whatever essential oil you’re using. You can purchase diffusers for your home, car, and even jewelry that provides aromatherapy for you while you’re on the go. 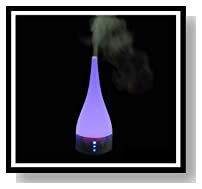 Diffusers are perfect for using essential oils for aromatherapy and giving your environment a scent you enjoy. While you can get some therapeutic benefit from diffusing oils, you’re not going to get as strong of an effect as you might from other methods. Massage is a powerful way to apply essential oils to your skin so that they can be absorbed. Most essential oils are too powerful to be applied directly to the skin. Instead, you need to dilute the oil with a carrier oil. Carrier oils can include coconut oil, olive oil, grape seed oil, and any other oil that is plant based. You’ll typically dilute your essential oil anywhere from 2%-10% depending on the oil and your purposes. For example, if you want to make a 10% solution you’ll mix 60 drops of the essential oil to an ounce of carrier oil. Once you’ve diluted the oil properly, you can apply it directly to the skin. Adding a little essential oil to your bath water can help you to enjoy aromatherapy while you relax in the water. The heat of the bath water helps to diffuse the oils and you can also get some therapeutic effects when the oil is absorbed by your skin. It’s best to mix the essential oils with Epsom salt or another type of oil to help disperse the oil into the water. 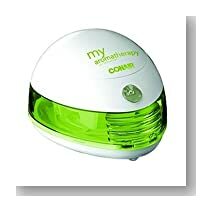 This keeps undiluted oil from coming directly in contact with your skin. There are some oils that shouldn’t be used in the bath. Make sure that you do your homework before adding any oil. But a few that are generally safe include lavender, rose, eucalyptus, and clary sage oils. Another method that works well especially for headaches and congestion is facial steaming. Add a few drops of essential oils to a very hot pot of water and place your face over the steam – add a towel over your head to trap the steam. You can also purchase facial steamers that make it an easier job. Some essential oils can be ingested in small amounts. It’s always best to work with a healthcare provider before deciding to take oils in internally. While many are safe, some are not safe to be ingested. It’s also important not to take too much of any oil at a given time. You can also add a few drops of an oil to a warm, wet washcloth or bandage to create a compress. This is specifically helps in giving relief for sore muscles, bruises, and wounds. You can make your own lotions, soaps, and other beauty and wellness products using essential oils. Not only will they give them a natural fragrance, you’ll also get the healing benefits of the oil you choose to use. And, as we’ve already discussed, you can use essential oils as an alternative to dangerous chemicals for cleaning your home. You can even add them to homemade laundry detergent. When you’re ready to get started with essential oils, there are a few tools that will help you if you have them on hand. Having a few items will help you to be prepared when you really need to use your essential oils. One of the first items you’ll want to purchase is a diffuser. You may even want more than one. 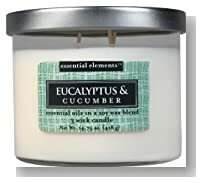 This is an item that will help you to disperse the fragrance of essential oils throughout your space. A personal diffuser will allow you to take your essential oils with you. For example, there are many attractive diffuser necklaces that allow you to wear your essential oils around your neck. 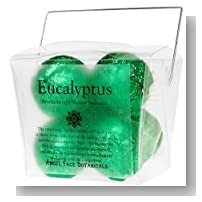 Imagine if you’re having a lot of congestion how nice it would be to carry your eucalyptus or peppermint oil with you throughout the day. When you begin to collect essential oils in their tiny amber bottles, you’ll want a way to organize them. There are many different storage systems including bags, boxes, and even carousels to help you keep them organized. It’s a good idea to have an in-depth pocket guide to help you choose the right essential oils for your needs. There are several options on the market that give you the information you need at a moment’s notice. 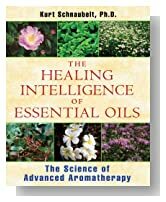 You may also want to get reference books that go with a specific use of essential oils or that address a specific health condition that you experience. 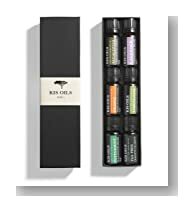 A roller bottle will allow you to make oil blends and use them easily. You can take any essential oil, dilute it, and place it in a roller bottle. It’s a great item to keep in your purse or in your luggage when you travel. Spray bottles will allow you to add essential oils to cleaning products and easy use them. You want to get glass bottles that are amber in color to protect your oils. Plastic bottles will break down when they come in contact with the oils. As you become more familiar with essential oils you may want to add to this list, but this is a great list to start using. You may find that you need more bottles for oil blends and body products. When it comes to skincare and hair care, you can’t beat the power of essential oils. 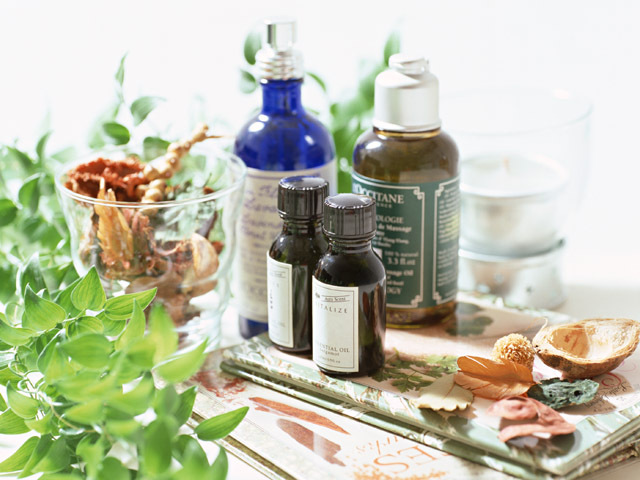 Essential oils can be added to homemade lotions, soaps, or added to carrier oils and applied to the skin. You can also add them to homemade shampoos and conditioners. Let’s look at the best oils for your skin and hair. Lavender is one of the best oils for your skin because it is gentle and healing. It can be used on very sensitive skin and can help with conditions such as psoriasis and eczema. For air, lavender can help add moisture to dry hair and keep dandruff flakes at bay. It can also sooth skin sensitivity on your scalp. Add a little to your conditioner or create a conditioner by mixing lavender with olive oil and using it on your hair. 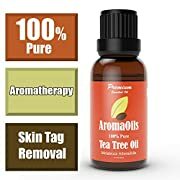 Tea tree oil is an antimicrobial oil. It’s perfect for adding to blemishes to help clear up the infection and heal your skin. You can add it directly to blemishes without diluting it or you can add a few drops to your face wash. Tea tree oil can also be effective in treating athlete’s foot and fungal nail infections. You can also use it to treat minor scrapes and burns. While it’s great for oily skin, tea tree oil can alsohelp soothe dry skin. 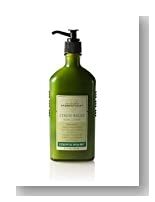 For your hair, tea tree oil will help to eliminate dandruff and keep your scalp moisturized. Mix it with some olive oil or coconut oil and massage it into your scalp. Leave it on for an hour and then wash your hair as usual. Geranium oil is another calming oil that can be used for your skin. It’s especially helpful for very dry skin or skin affected by eczema or psoriasis.This oil is also antibacterial and antifungal. You can use geranium oil as a natural facial cleanser or add it to your bathwater for natural skin cleansing all over your body. For your hair, geranium helps to control oil and dandruff. 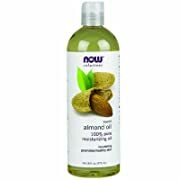 It will help your hair to achieve a healthy balance and can even stimulate hair growth. Bergamot is an essential oil that helps to kill bacteria. That makes it a wonderful addition to your skincare routine if you have trouble with acne. It will help to kill bacteria and clear up blemishes. It can also help keep your skin from overproducing oil. Unlike many acne treatment products, using bergamot essential oil will help keep your skin from getting too dry. Bergamot is also a good oil for treating stretch marks and scars. For your hair, bergamot can help to stimulate hair growth and add some extra shine to your hair. You’ll need to mix with a carrier oil before adding it to your hair. Or you can just add a few drops to your normal conditioner. 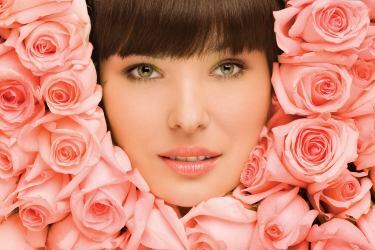 Rose essential oil can help to tone and lift your skin to reduce the signs of aging. It can also help improve circulation to your skin which gives you a youthful glow. Rose oil can also help fight bacteria and other microbes that cause skin infection. For your hair, rose oil can improve the health of your scalp which improves the health of your hair. It will help with conditions such as dandruff and psoriasis that are commonly found on the scalp. Weight loss is a goal for many people and essential oils can help you in the fight. They work by improving your metabolism, giving you more energy, and helping reduce your cravings for specific foods. Grapefruit essential oil will help you lose weight by increasing your metabolism. That means you’ll burn more calories at rest than you normally do. It’s also filled with antioxidants like vitamin C which help prevent disease and aging. It can be added to a carrier oil and applied to your skin. to begin enjoying the benefits. Some oils may also be used internally by adding a drop or two to a tall glass of water. But be careful when taking oils internally and make sure you clear it with a healthcare provider. 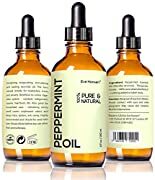 Peppermint oil is very helpful in aiding digestion and controlling your cravings. If you place a few drops on a cotton ball or in a diffuser, you can breathe it in to help control your appetite. Tangerine is also used for weight loss and can actually improve the appearance of cellulite as well. It tones the skin and increases circulation to it. It can help to improve your metabolism and help you to feel happier. All of these things can add up to weight loss. Ylangylang has a pleasant aroma and can help you to feel calm. How does this relate to weight loss? Many people gain weight because of stress or emotional eating. Using an oil like ylangylang for aromatherapy can help you to feel calmer so that you don’t turn to overeating for comfort. Lemon is another essential oil that can help you to lose weight. It does this by helping to balance your metabolism and improving your digestion. Lemon oil can also help to fight inflammation, disease, and aging. You can apply lemon oil to your skin to get these effects. Some people also choose to take lemon oil internally – just a drop in a glass of water is enough to get the effects you want. One of the most common uses for essential oils is to improve mood and emotional wellness. There are many different oils that can have an effect on the way you feel when times are tough. There are oils that help you to have more energy, reduce anxiety, lift depression, and provide relief from trauma. Adding a few drops to a diffuser can help you to change your mood and feel better. Let’s look at a few of the most common examples. Frankincense is an oil that can help lift feelings of depression. Used regularly it can help your body to have more balanced brain chemistry and help you to achieve hormonal balance. Citrus oils such as lemon and orange can help you to fight the feelings that go along with stress. They can also help you to have more energy and feel more happiness. You may not have heard of it, but vetiver is a type of grass that grows most commonly in India. Vetiver essential oil is very calming and is a great oil to use for anxiety and fear. It’s an oil that works well in conjunction with treatment for trauma and can actually help you to recover. Neroli oil comes from orange tree blossoms. 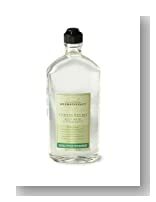 It has a floral and citrusy aroma that is very good for helping with feelings of irritability. It can help you to feel more peaceful and happy. It’s also a good oil to use when you’re experiencing grief. If you have trouble with panic attacks, neroli can also be useful in helping you to stay calm. 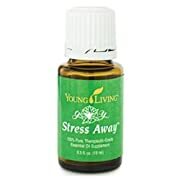 This is a great oil to add to a diffuser necklace that you can wear all day to help fight stress and anxiety naturally. Ylangylang can help you to feel relaxed and calm. If you are quick to anger and would like to have more peace, this oil can help you to have it. It’s also a helpful oil for helping with depression and reducing stress levels. These are some of the most common oils used for these purposes. 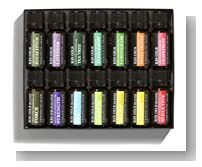 As you begin to use essential oils more you’ll find that there are many with useful properties for emotions. As you get more experience you’ll decide which ones work best for you and have your own personal favorites. 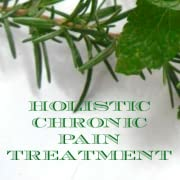 If you have an injury or illness that causes pain, you’ll find that essential oils can help with natural pain relief. 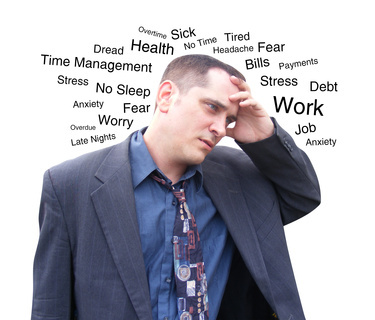 There are different kinds of pain that you may need to address. These are some of the most common oils for pain relief. Peppermint oil can provide the icy hot feeling you enjoy from muscle creams – but it does this naturally with no side effects. Peppermint can be added to a carrier oil and applied to sore muscles and joints. It’s also a natural anti-inflammatory and can speed up the healing and recovery process. It can also be used for aromatherapy to help clear up headache pain – especially headache pain related to congestion. Wintergreen is another oil that can be applied to injuries and sore muscles. Wintergreen oil is as powerful as aspirin when it comes to pain relief and calming inflammation. After diluting the oil with a carrier oil, apply a few drops directly to the area where you’re experiencing pain. But don’t use it on broken skin. You can also diffuse this oil for aromatherapy. Basil is an oil that is best used for chronic pain. It ca be used to relieve headaches, muscle pain, and can also help to lift your spirits. This oil can be diffused or you can mix it in a dilution and apply it directly to sore areas. Clove essential oil is a spicy smelling oil that has many benefits for pain management. It can help to fight infections and inflammation. It’s antiviral, antifungal, and antibacterial. It’s also great at soothing arthritis pain. Clove oil must be diluted before applying it to your painful areas. It can also be diffused for aromatherapy. Tea tree oil, also known by its scientific name melaleucaalternifolia, is an oil that can be very helpful with taking care of a toothache. If you have a toothache and have to wait a day or two to get to the dentist, try using a dropper to apply a few drops directly to the painful tooth. Then rub the oil in with your finger and the gum around the tooth. 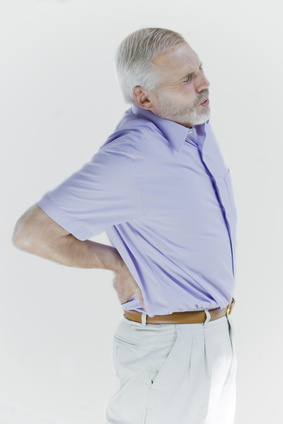 This will provide relief from the pain until you can get the problem taken care of. 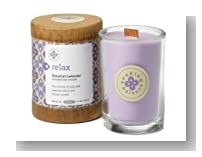 Lavender oil is commonly used for aromatherapy to help induce relaxation. However, it can also be very powerful as a pain reliever. Adding lavender oil to sore muscles and joints will help to increase circulation and promote healing as well. Peppermint Oil ? HUGE 4 OUNCE! ? 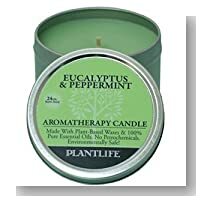 100% Pure & Natural for Aromatherapy + Surprising Household Uses ? PREMIUM QUALITY Essential Oil Health Benefits Include - RELIEF from Migraine Headache, Stress & Anxiety - TREATMENT of Indigestion & Nausea ? Perfect Home REMEDY for Diarrhea, Heartburn, IBS and More ? 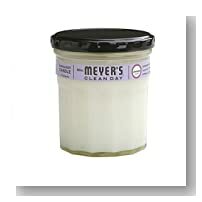 Also Works Great in Your House - Refreshing MINTY SCENT Serves as Repellent to MICE, SPIDERS, FLEAS & ANTS ? WORKS OR YOUR MONEY BACK - Buy NOW - With Confidence! Headache Relief Synergy Essential Oil. 10 ml (1/3 oz). 100% Pure, Undiluted, Therapeutic Grade. What's Hurting You? 4 Oz - Essential Oil Gel for Pain Relief of Sore Muscles, Joints and Feet. One of the nicest parts of having a clean home is the smell of lemon or orange. 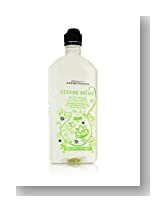 But when you use commercial chemicals to clean those fragrances are often made by synthetic or hazardous chemicals. In reality, you don’t need a lot of dangerous products in order to keep a clean home. There are many natural cleaning formulas that work just as well without putting your family in danger. Here are a few ways that you can use essential oils to clean your home. Windows can be cleaned using a mixture of vinegar, lemon essential oil, and towels or newspapers to dry them. You only need a few drops to get the lemon fragrance and cleaning powers. It’s always helpful to have a multi-purpose spray to help clean up spills and countertops. This spray will kill germs and leave a pleasant fragrance behind. Toilet Cleaner. All you need is water and tea tree oil to create a toilet bowl cleaner that kills germs without toxic fumes. Add 2 cups of water to a spray bottle. Add 2 teaspoons of tea tree oil to that, replace the top, and shake to mix. Spray it on the toilet boil and then let it sit for half an hour before scrubbing. You’ll have a clean commode that’s free from fumes caused by bleach based products and other harsh chemicals. 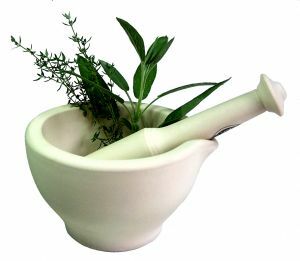 Aromatherapy should not be used to replace prescribed medical treatments but should instead be used in combination with them. 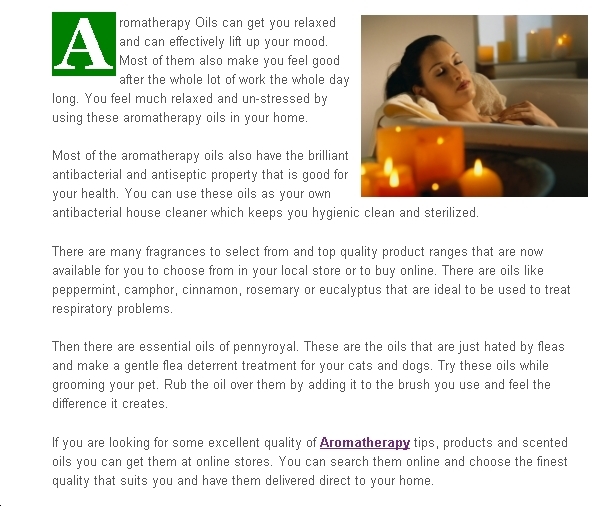 Aromatherapy treatment can enhance the prescribed medications that you are using to treat your ailments. 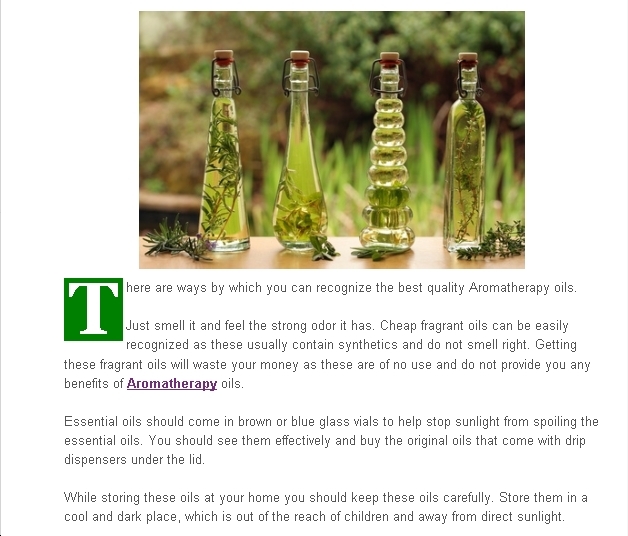 In this guide you’ve learned some of the basic uses for essential oils. Now it’s time to get started. Depending on your budget and needs you can start with just one essential oil at a time or purchase a kit of popular oils that will help you to have what you need on hand. This guide just gives a brief overview. As you begin using essential oils and see how effective they are you’ll want to learn more. Over time you’ll find that you rely much less on medical intervention because you’re able to help your body to heal itself naturally. While it will require an initial investment, you’ll find that you save a great deal of money by preventing bigger health problems. You’ll also appreciate the amazing wellness you’ll feel. Essential oils are nature’s gift to help you treat illness and improve your wellness without toxins and side effects. The smell can be drawn into your lungs to provide a multitude of physical and mental benefits, and the oils can be applied directly to your skin for other useful advantages. Carrier oils are used to dilute essential oils, since their power is so strong. When used improperly, because of their strength, essential oils can be very dangerous, so be sure you understand how to use them properly. 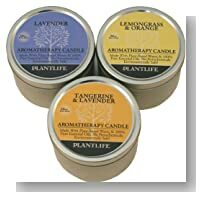 There are many aromatherapy products on the market that can be used in your home. 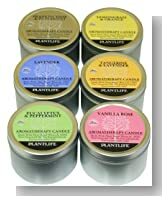 Before purchasing, be sure that the company is not just claiming that their products are good for aromatherapy use, but that they actually do work. Make the effort to do some more research to learn about all the aromatherapy benefits that you can enjoy by using this therapy in your home and for your health. 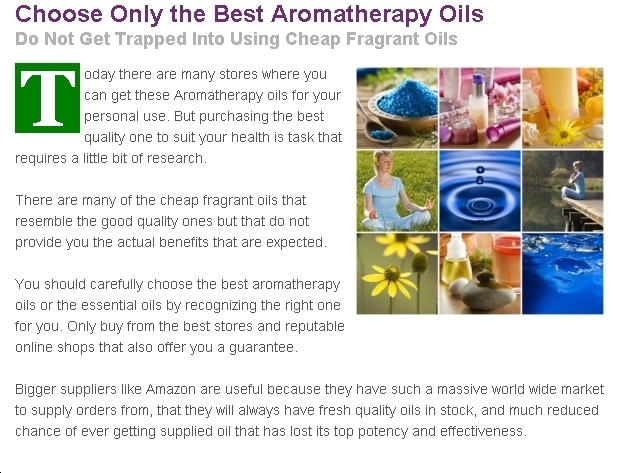 There are many good guides that you can buy online to teach you how to use herbal and oil aromatherapy as well as top quality oil kits for you to test yourself. 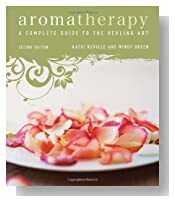 Below here I'm featuring more pages with helpful how-to-do-it tips on all the aromatherapy benefits you can also enjoy. What are the best Essential Oils for Digestion? 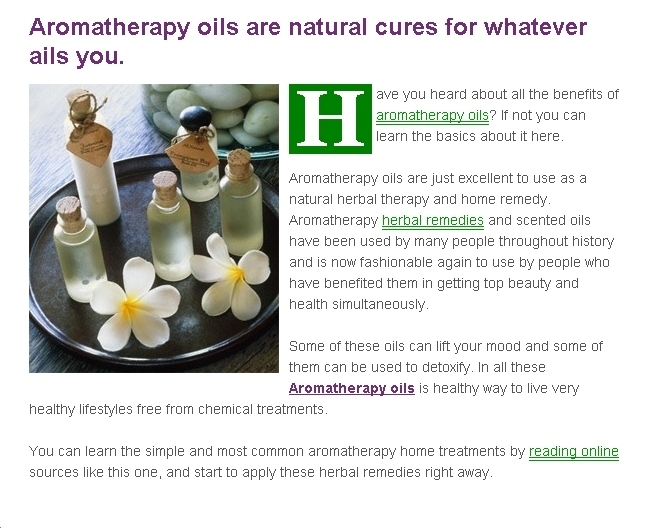 Back to HOME PAGE of this aromatherapy benefits section of the site.